Sorry. The contents of this site are written in Japanese only. ・Established on February 20, 1997. 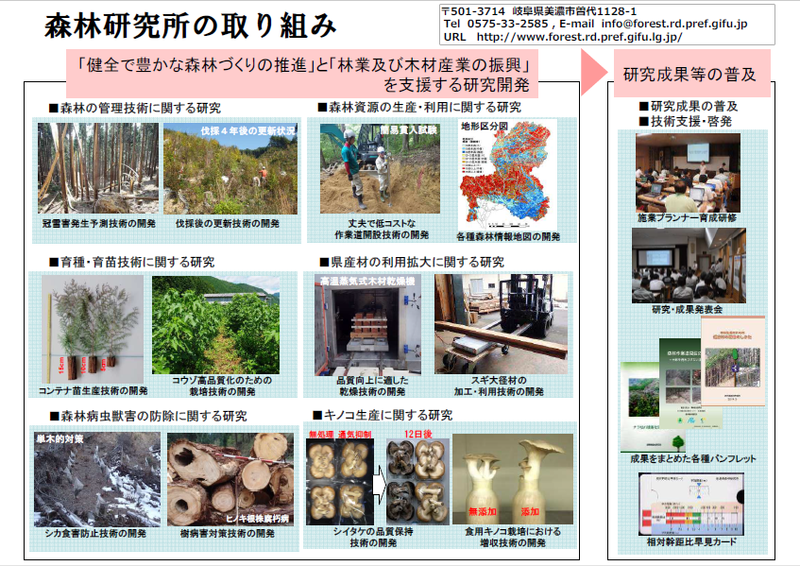 ・Copyright © 1997-2010, Gifu Prefectural Research Institute for Forests. All Rights Reserved.